Funky Junk Interiors is featuring shutters at her weekend party and I thought this would be a great opportunity to show off some past shutter projects. And the only thing I am painting this weekend is my outdoor trim before the snow the flies. 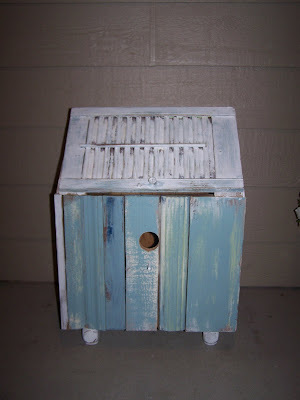 I made this fun planter by attaching a wire freezer basket to some shutters. 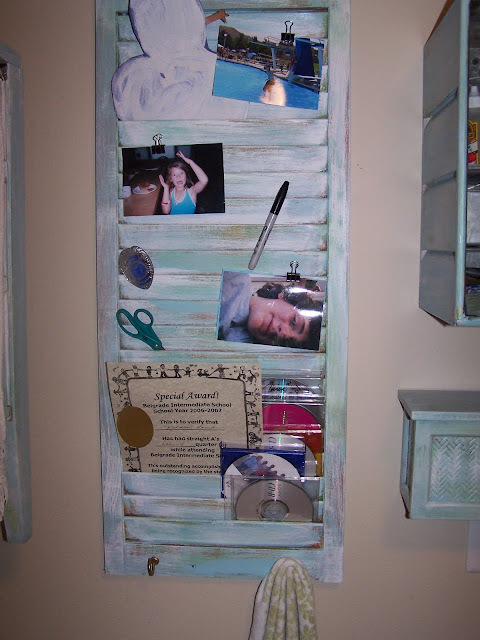 I painted up this little shutter and use it in my mudroom--it holds cds, photos, scissors, papers. 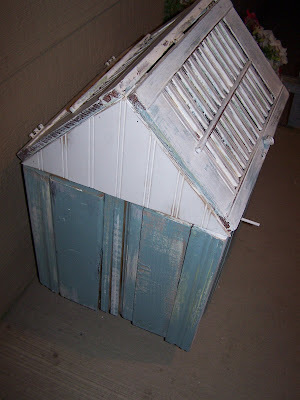 I used shutters for the roof on this ginormous birdhouse storage bin I made. Shutters sitting on a tabletop makes a great photo/note display. 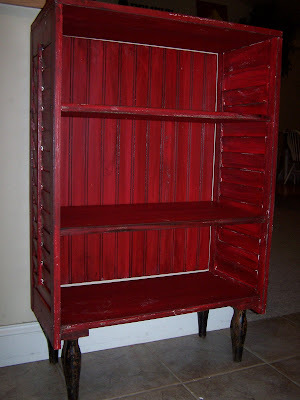 Here is a shelf I made with shutters as the side. As you can tell, I had to recut the back beadboard piece, this one was a little small. You are the shutter queen! 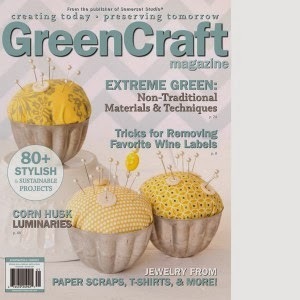 :-) My favorite is the planter (love the green color, too). WOW, so many ideas!! I have a set that I have had for abt 5 yrs :) ready to do something w/them now. thanks for sharing!! These are fantastic! I love the one in your mud room! 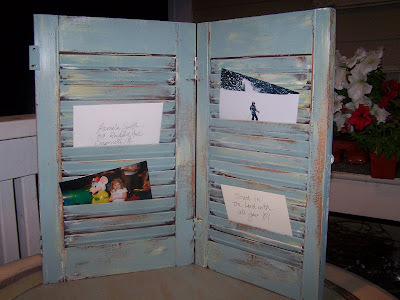 What great projects you did with your shutters! Love them all. Now that is some shutter love right there. You really showed us some versatile ways! Loved them all, and so useful too. I all love of your shutters! 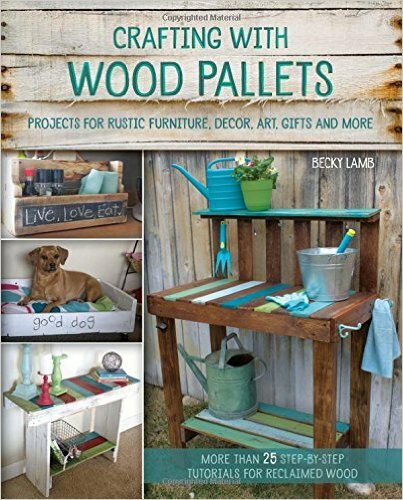 It's hard to pick a favorite, but I think your shutter planter and the neat message board in your mudroom would be my two top choices! Love them all! My favorite is the red cabinet. Wow! you are so creative with your shutters! love them! Wow-you've got the shutter thing down to a science! 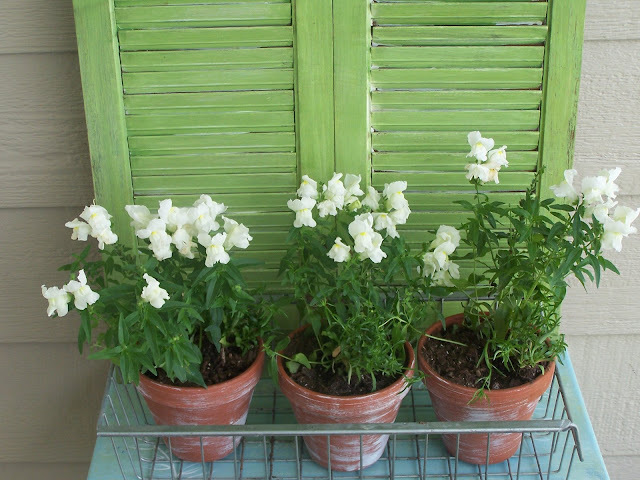 I really love that planter & never would've thought to use a freezer basket-so cute! What clever use of shutters! Love me some old shutters! These are great ideas- thanks for sharing them with us. 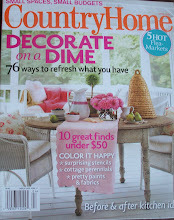 Just wanted to say thank you for coming over to my blog RestoreInteriors. I really appreciated your sweet comment about my footstool makeoever! This blog thing is all new to me. I am really enjoying meeting so many sweet people. Thanks for having the linky party!! Great shutter projects! Cute roof on that house.